Want to Know More about Your Online Weight Loss Coach Here at Brainy Weight Loss? I’m a clinical weight loss coach specializing in body-type nutrition, smart exercising focused on fat loss and brain reset to end food cravings and emotional eating – naturally. I work with people like you, who want to drop the extra weight once and for all – while optimizing health and energy levels. In the process, we address the root causes of overweight or weight loss resistance: various hormonal imbalances, specific nutritional deficiencies, as well as chronic stress. Because stress is responsible for causing all kinds of unwanted behaviors around food, eating and working out. If you’re not familiar with these unconventional protocols – no worries! … to help you finally lose the extra weight and keep it off for good? Mostly three things, I’d say. 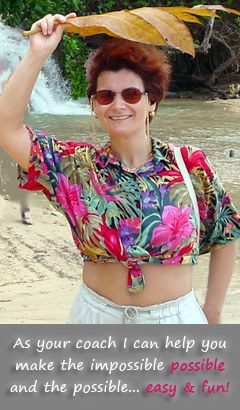 First, over 20 years of personal experience in the losing-gaining-losing weight game; name it – I’d done it all! So I know what works safely, what works only short-term and what’s pure hogwash. Second, a variety of formal trainings in how the mind works and in integrative health – so you’ll actually get healthier as you drop those extra pounds. Third (and most important), my passion for empowering YOU with advanced tools for change and seeing you achieve lasting results. When you sign up for Brainy Bites Ezine, which is full of quick weight loss tips, fat-burning recipes and little-known mind-hacks, I’ll tell you all about it. For example, you’ll find out how growing up in a rigid, restrictive environment and having to deal with bullies as a kid was having massive consequences on my eating patterns years later. 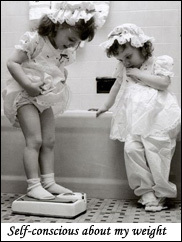 How I became self-conscious about my weight at a very early age and how emotional eating developed simply as a coping behavior, for extra emotional protection or to simply feel loved. You’ll also discover how later on, being an over-achiever, always on the go and putting everybody else’s needs before my own I was (unknowingly) abusing my body through overwork, chronic stress and trying to sleep faster. You’ll learn how these patterns create the ideal breeding ground for quick weight gain and strong resistance to losing it – no matter how little we eat or how long or how hard we exercise. And how in fact, eating less and exercising more is the worst thing we can do when we need to lose that extra body fat! …made it easy using food to push down stress, fatigue and overwhelm; or, to celebrate achievements and successes. Too many responsibilities, tight deadlines and a continuous stretch to make everybody happy were the usual triggers for my stress eating – especially at night, sometimes even straight from the fridge! As you can imagine, pounds kept adding month after month. Before long I had tried everything under the sun: fad diets, magic pills, slimming patches, fat burners, carb blockers, seaweed powder, ocean mud wraps, mystic star dust – only to feel starved, exhausted and depressed! It took me quite a long time to figure out what was going on. Although a NLP success coach and Emotrance practitioner, it wasn’t until I used consistently on myself these cutting-edge modalities, along with self-hypnosis to reset my brain and control my emotional eating. Emotrance helped to erase childhood emotional trauma. NLP helped tremendously to reframe the sabotaging inner dialogue. As for self-hypnosis, it helped to replace old, unsupportive behaviors with empowering ones – on autopilot. A winning mix yielding quick and long-lasting results! That’s when I felt compelled to help people who are like I once was: over-worked, over-stressed, emotionally starved and struggling with extra weight. Now I’m doing this here at Brainy Weight Loss, as your online weight loss coach. I went through more specialized training: mind-body fitness, Ayurveda diets for weight loss, body-type nutrition (for restoring the hormonal balance unique to each person), food psychology, clinical weight loss. First, to deepen my understanding of healthy, soulful eating that nourishes the body AND the spirit. Second, to become skilled at formulating customized approaches for losing weight without deprivation, hunger, ridiculous diets or overhyped slimming products. by the commissions I may receive. allowing me to deliver unique, cutting-edge content, free, to you. recommend is a win-win experience for both of us. Here you will find unbiased reviews and recommendations for top weight loss products that I have personally used and found to be safe and very effective. I endorse these products because I like them and believe you might find them useful too. I never share anything I haven’t already experienced, refined and used with great success myself. Lastly, as your online weight loss coach, I always welcome your feedback! Let me know what area of weight loss you have difficulties with – after all, I’ve created this site for you and I’m continually developing it to fit your needs. P.S. 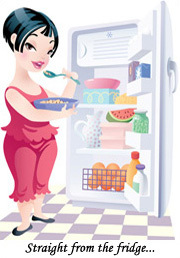 Before you forget, subscribe now to Brainy Bites, my complimentary Ezine: you’ll get several eye-opening FREE cheatsheets, plus receive super-easy, yummy weight loss recipes along with no-fluff, practical free weight loss tips.